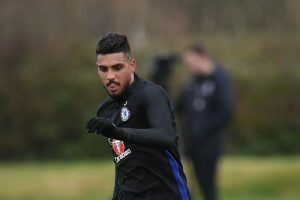 Once identified by Juventus as a potential replacement for former Chelsea transfer target Alex Sandro, Brazilian-Italian left-back Emerson Palmieri skipped that intermediary step and joined the Blues directly from AS Roma, arriving on the final day of the January transfer window in classic Chelsea style. While Juventus were setting prices in the €60-80m range for Alex Sandro, Chelsea were able to get Emerson for just a third of that, paying an initial €20 million transfer fee with another €9m in potential bonuses and add-ons agreed. In today's market, that's basically the equivalent of paying €8m to Marseille for César Azpilicueta in 2012. Emerson would've surely commanded a much higher transfer fee had he not been struck down by a cruciate ligament injury, which sidelined him for the previous six months. While that clearly presents a risk even with modern surgical and rehabilitation techniques, his current and former teammate Antonio Rüdiger has vouched for the new arrival's quality, having played together with him all of last season. Incidentally, Rüdiger himself experienced a similar injury the year before, while Chelsea's best defender, César Azpilicueta also battled through one when he was younger. Emerson could have stayed at Roma to finish his recovery and continue his success in Serie A, but he decided to take his chances with the greater challenge on the Premier League. Unsurprisingly, he chatted with Rüdiger prior to making his decision. As we often find, adapting to England is not always the easiest task, regardless of success elsewhere. Thankfully, Rüdiger, who seemingly had no problems whatsoever settling in to life at Chelsea, will be there to help Emerson's through any potential obstacles. Emerson made the bench in Chelsea's 4-1 loss at Watford, but even though Marcos Alonso had to miss out through a small knock, Davide Zappacosta started on the left instead. Conte likes to take his time in introducing new signings, but could Emerson perhaps be in line for a start on Monday?